One of the basic contentions of Solar Ancestor is that cosmic bodies are made manifest through the medium of spheres or orbs. Even on the fourth and fifth dimensions, beings congregate around spheres and, in the higher dimensions, many entities themselves would appear to our sight to be spheres of light. On the 3D plane, our Earth is contained within the great sphere of Father Sun, called the Heliosphere. 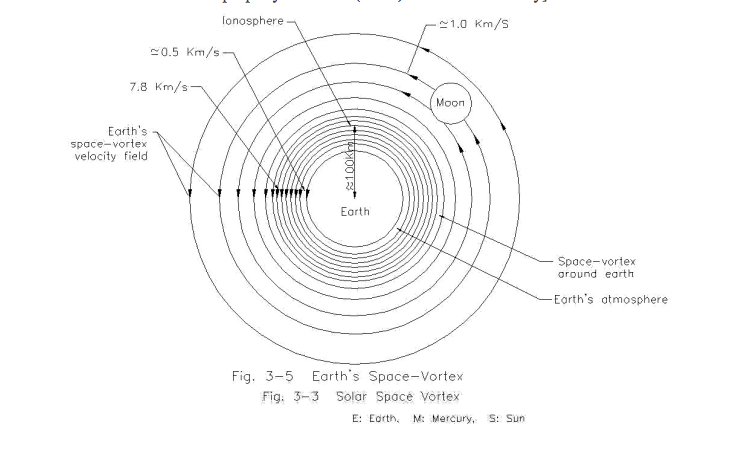 And around Earth spheres of higher planes exist – the ones closest to the Earth are the Etheric spheres, which extend out into the Astral spheres, in ever lighter layers, as far out as our Moon. We are encouraged by science’s gradual acknowledgement that what appears to be the empty space that surrounds us, is not empty at all. They are still toying with names like dark matter and dark energy. We understand from the Zero Point Field that limitless energy is latent in the invisible worlds. There are unseen realms, in which unseen beings dwell, all around us. All that appears to our sight and touch to be solid and physical, emanates from what we call the vacuum - it is brimming with energy. All cultures in all nations of the world have stories about beings descending from above to come and teach us, and how our quest is to ascend – upwards. It is not just a figure of speech. Think of all the legends of secret realms: Shambhala, Agartha, Inner Earth, the Spheres of Dante, the Empyrean. If orbs and UFOs are actually “popping into existence” in our skies – and sometimes even crashing to Earth – this is because they are materializing very suddenly from a higher realm, down into our 3D dimension. The articles and blogs posted on this Solar Ancestor site are designed for those who wish to engage with the higher realms, and communicate with beings of parallel worlds – the spheres and orbs. Today there is resurgence in the practice of Sun-gazing, along with the therapeutic use of Sunlight and colour. The Sun has real impact our weather patterns and climate change. Our bodies are likewise synchronized to the Sun. In this book the spheres of medicine, science and mysticism are drawn together coherently with a view to predicting the direction our planet and the human race is headed in the future. Will we ultimately incubate our Light Bodies? It is time to see the Sun in a new light and elicit its secrets. Today there is resurgence in the practice of Sun-gazing, along with the therapeutic use of Sunlight and colour. While the sun’s benefits in providing vitamin D and aiding in the healing of depression have been known for some time, there are new revelations in 2016 that it prevents myopia and slows its advance. It is less well known that human biology reacts in a very direct way to the rotations of our star. A number of prominent doctors have come out to publicly endorse the absorption of Sunlight in the human eye and skin, using common sense to avoid over exposure. In the scientific field during 2016 researchers are making new discoveries about the ways our planet is intimately connected to the Sun by invisible strings, and the real impact it has on our weather patterns and climate change. Quantum physics shows there may be corresponding connections on a different dimensional level that result in wormhole-type tunnels that bridge our earth to the Sun and beyond. Historically the star of our solar system has been honoured by the construction of megaliths such as Stonehenge and Glastonbury in England, Nabta Playa in Egypt and the Temple of the Sun in Mexico. Now alternative researchers believe there is evidence that solar power was harnessed and distributed in structures such as the pyramids and that giant obelisks such as the one at Abu Gurab were actually electrical transmitters. The concept and application of this fits perfectly with the theories of the 20th century genius Nikola Tesla. Great leaders in ancient Egypt, Greece and Rome were guided by mystical activities based on what may be called the solar sciences, and their traditions survive today within certain secretive societies. Authors such as James Redfield have suggested that the human body may be destined to evolve into what is known as a light body, and this is now supported by scientific research into matter being constructed of photons. Along with modern technology’s steps towards transhumanism and artificial intelligence, we are witnessing the emergence of a new breed of humans referred to as Indigo children and the Super Psychic kids. Modern day organizations such as Cosolargy suggest that the transmutation can be accomplished by the intake of the Sun’s rays. Spirituality has a role to play in our reconnection with the Sun and the technique of ‘Incubation’ as practised by the ancients, called the Way of the Iatromantis, provides an avenue in the pursuit of activating our light bodies and making the next evolutionary step. In rethinking our relationship with the Sun, we see a way forward into a future filled with light. Every subatomic particle and cell in your body had its source in our Sun. The material nature of the universe is based on light and photons, while the cosmos has another non-material aspect to it – let’s call it the ‘celestial nature’ - which is the intelligent life force. The former is the creation of the latter, which bursts into material existence via the stars. In our case that star is Sol, our father Sun. This truth was understood by the Pharaoh Akhenaten in the 14th century BCE, but was not welcomed by his subjects, who abandoned the whole concept in favour of their preferred tradition of multiple ‘small-g’ gods after he died. We owe both our physical being and our intangible vital life force to the Sun, which explains the unbreakable solar connection that many of us are re-awakening to in this post-2012 Aquarian age. The earth was formed by accretion out of the solar disc and we ourselves are made of solar matter. The Father Sun is the source of our heat, light and life. Might it be our destiny to return to it? Rumi, the 13th Century Persian poet. The worship of the Aten by the Pharaoh Akhenaten, his wife Nefertiti and his son, Tutankhamen and his daughter, Ankhesenpaaten.